APRIL! One of my favorite months because my birthday, Andrew’s birthday, and my dad’s birthdays are all this month! Mine is actually Wednesday and Andrew’s is Thursday! So this is always a fun week! 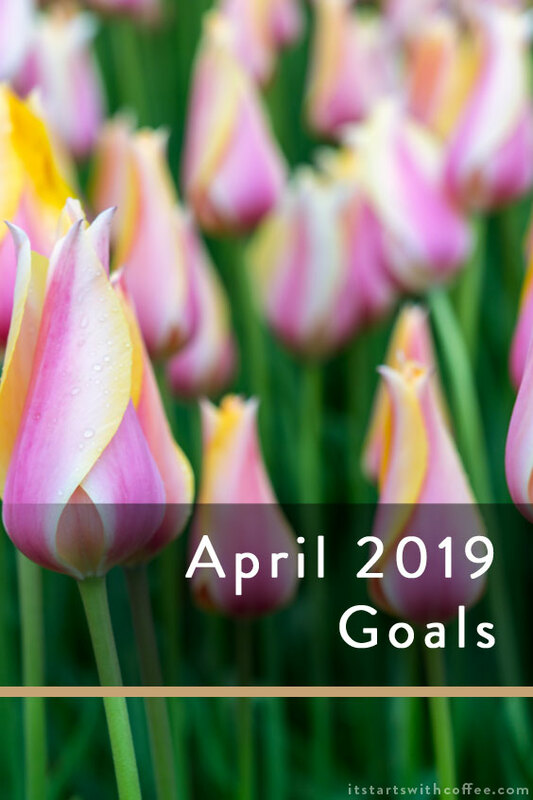 But for now it’s time to share my April 2019 goals and also check in on how March went. Read 5 books (we have a trip planned so I should be able to) I read 6 so I feel good about that. I read 3 on our trip! Unplug a ton on our vacation — at least try to not open my laptop I only had to open my laptop twice because I could not get a website to open on my phone! Take Liam on a fun Dallas adventure We went to the Arboretum last week! Not an adventure so to speak because we’ve done it before but it was fun! Clean out our guest room closet Working on it! Grow Pinterest to 28K followers Getting close but not quite there yet. Come follow me! Drink more water! I recently got this and I am hoping it helps. 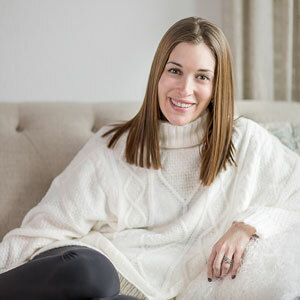 What are some of your April 2019 goals? Love your goals for this month. Drink more water is also on my list. That’s funny you have so many birthdays in April and it is the only month that we don’t have a birthday in my family! My youngest was due in April, but he was two weeks early so had his birthday last week. Sounds like you were able to unplug and have quality family time on vacation, awesome! I hope to be able to do the same when we go on vacation in a couple of months. That’s a great list. I also have more family walks on the list. We still have some terrible weather so it’s been so hard to be outside! I love how you list all your goals for the months and therefore make yourself accountable. I start every month without even know where I am standing! Time to get more organised to get more productive! Great goals! Wishing you the best April! I really enjoy the look of you entire blog. Which theme is this? Love it. Anyway, one of my goals is also to feel better about my body! Let’s do this together! I love that you write out goals for each month. I think we could all stand to drink more water. Good luck, Neely! Happy Birthday! I hope it’s wonderful and that you enjoy every second. That’s awesome you’ve some many in the month. You did awesome on your March goals! Good luck on your April ones! Loved reading through your goals! I want to read 1 book ( not quite up to your level of 5 yet haha), maintain my blog traffic from last month, & write all of my blog posts for April in advance, maybe even some of May’s ! Just to name a few! Great goals! I need to list all mine out for accountability ! I’m just now turning my attention to April. And I have no idea where to start. Sounds like we have a lot of goals in common! Decluttering is a constant battle here with two small kids. Haha! What are MY goals? Besides of course blogging and related social media work/staying on top of that, this week is my last spring children’s resale event (so goal for this week = make lots of $$$ LOL!) – then after that, am hoping it’s warm enough to clean up my flower beds! Congrats on such great work on your goals! It’s impressive you were able to stay on track and go on vacation, too. Wishing you a successful April!